Essentially Wanless figured out how to use ultra light spinning tackle to deliver dry and wet flies large distances. 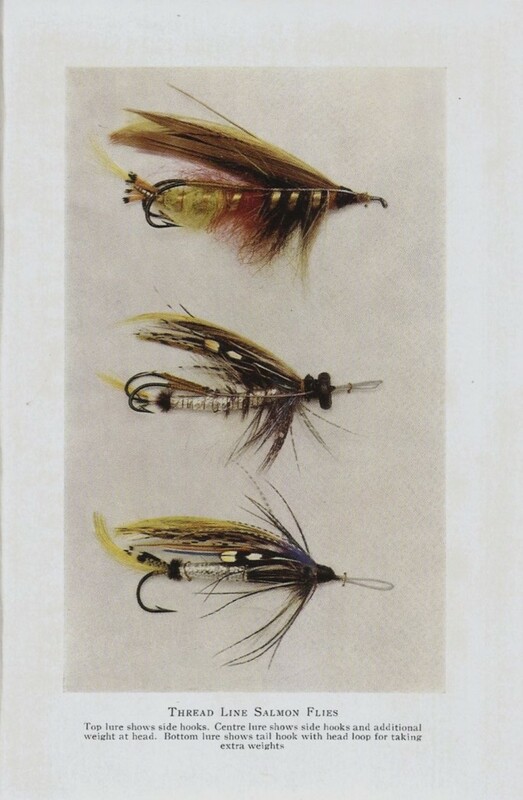 His method equalled the Spey cast in efficacy and was much easier to learn and use. It allowed him to fish anywhere on the river and cover lies that conventional fly fishermen were unable to reach. 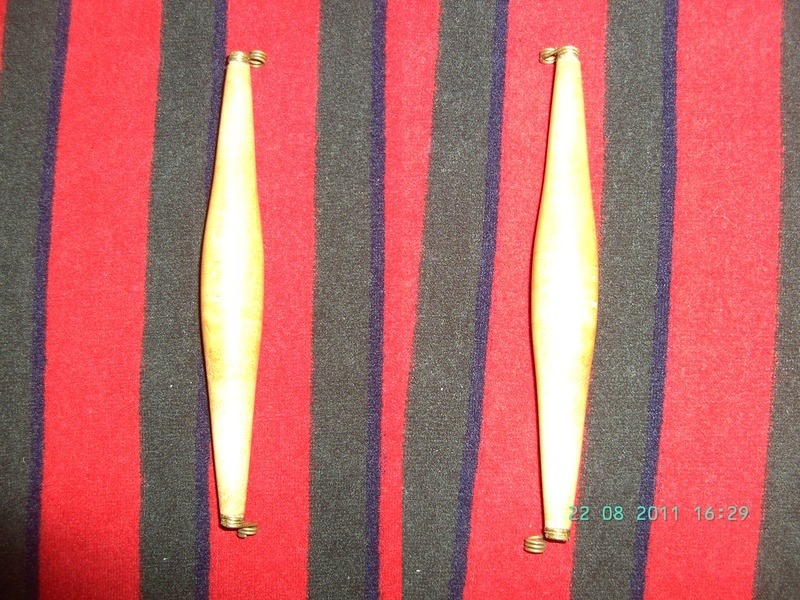 Many anglers were keen to adopt the Wanless system due to its versatility and effectiveness. It comes as no surprise then that at the time this innovation was condemned by the conservative fly fishing establishment and the technique outlawed on many “fly only” rivers throughout the UK. This was especially the case in Scotland which, coincidentally, is where Wanless was based. What was most disappointing about this condemnation was that Wanless was using 6 lb. breaking strain monofilament to cast flies and his methods were arguably more sporting than those used by the traditionalists who were actually levelling the charges. In many ways it was piscatorial hypocrisy of the highest order. The key to fishing flies on spinning tackle was the development by Wanless of the floating controller in the late 1920’s – early 1930’s. The floating controller is nothing more than a floating weight that is tapered aggressively at both ends. The controller was attached close to the casting end of the monofilament and flies knotted onto a trace at the point end. When the controller was cast it dragged the flies behind until its momentum slowed whereby the flies were pitched onto or into the water ahead of the controller. It was an elegant solution and showed a complete understanding of simple physics. Floating controllers became very popular especially when the famous UK tackle manufacturer Hardy, began making and selling a “Wanless floating controller” (see image below). At the time fly lines were made from silk which were greased to keep them afloat. Silk lines offered limited flotation and required extensive drying after only a few hours use. Fly line production was slow and laborious. Most lines were level or gradually tapered. Long belly lines were available but these were restricted to Spey casting. Aggressively tapered fly lines as we know them today could not easily be manufactured from silk and had not been invented. It was not until the 1950’s that modern style fly lines started to be produced commercially by Scientific Anglers. They started with a monofilament core which determined the line’s strength and flexibility and deposited an outside synthetic layer that determined the line’s slickness, buoyancy, shape and weight over the inside core material . The outer coating could be easily tapered to improve casting and handling. The most common taper initially was double taper, where the line is thinnest at each end and thickest in the middle, as it probably was easy to produce. 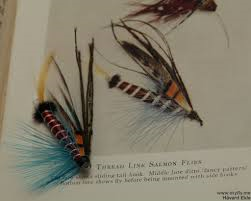 As manufacturing techniques improved, weight forward fly lines were developed and these dominate the market today. In a weight forward fly line the front third of the fly line is aggressively tapered and this extra weight is used to shoot the rest of the level line in the final forward casting stroke (See image below). What I am going to say next will probably see me hung as a heretic. In essence a weight forward fly line is almost identical in function to a floating controller and one is left to wonder whether the development of the weight forward fly line was actually based on the Wanless floating controller. My feeling is that it may have been but that will be difficult to prove. The only difference between the two is that in one case the controller is attached to the end of level monofilament (Wanless method) and in the other the “controller” is built into the taper of the fly line. The core line in both cases was monofilament. In reality they are functionally identical. It is possible that the physical principles associated with using a tapered weight or float at the end of the line to improve casting distance were well documented but there is no doubt that Wanless put it to practical use first. Scientific Anglers manufactured fly lines for many companies (e.g. Cortland) in the 1950’s and 1960’s and Hardy could potentially also have been amongst them. If they were then it is not inconceivable that Hardy suggested to Scientific Anglers that they produce weight forward tapers that embodied the principles of the Wanless controller. The global fishing tackle industry has always been relatively tight knit community, and many companies have collaborated at some point, so this is not outside the realms of possibility. In a delicious irony, weight forward fly lines are permitted in UK “fly only” waters whereas floating controllers are still outlawed in many catchments. The same applies in NZ. Why is this? Do the legislators consider that Wanless controllers are actually floats? If they do then how can they also permit the use of strike indicators in nymph fishing? Surely the key issue is that flies are used to catch trout and that the method by which they are delivered onto the water is largely irrelevant? What this goes to prove is that many of the laws that govern how we fly fish are poorly thought through and arcane. For example, in New Zealand it is still legal to “dap” live flies for trout in the Taupo conservancy yet bait fishing is not permitted. Surely a live insect is actually a live bait? Yarn indicators are permitted whereas tiny cork, foam or “Thingamabobbers” are not. Both function in the same way so simply limiting the indicator size (or buoyancy effect) would have made more sense. The regulations are riddled with inconsistency. But I digress. I’ll leave it to you to make up your own mind as to whether weight forward lines were copied from the Wanless floating controller. As far as I’m concerned, the most amazing thing is that Alexander Wanless may unwittingly have shaped fly fishing as we know it with something he created thirty years before modern fly lines were invented. You make a good connection between today’s heavy frontend salmon fly lines especially the shooting head chuckkers and a Wanless controller – which I’m a proud owner of 1 along with a Hardy 7ft Wanless 9/10lb weight . I’ve obtained and read most of his books and totally agree he was well before his time in his use of technology . I was even in Hawick today buying Haggis from Lindsay Grieves Butchers – who’s haggis is delightful . I will when I can will use this Wanless method and shall fish it with a tube fly which also messer Wanless is said to have pioneered .? Hi David, Thank you for the kind words. Let me know how you get on with the Wanless method and tube fly. Tight lines, Alan.